I was struck by Henriques’ analysis of what made Washington such a pivotal figure in our history. 4. He was awash in talents. Would that we all had large measures of all these. These are my notes on Henriques’ presentation in Williamsburg at the Fifth Annual Conference on the American Revolution. 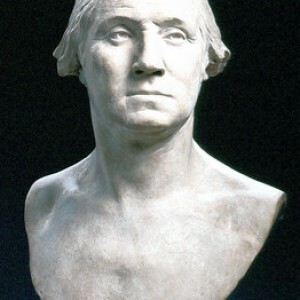 Washington was cleverly and determinedly ambitious and was able to feed and thrive on misfortune. He showed great patience in suffering while he remained a man of most intense but controlled passion. The way a man handles difficulties shows what kind of man he is. He was anything but a naive idealist and carried with him a rather dim view of man but was willing to make the best of men as they are. He sought the best and brightest [here think Andrew Hamilton and Thomas Jefferson in his first cabinet] and is not intimidated or controlled by them. He also had the ability to inspire men [here think at Newburgh when he addresses his officers who were on the verge of mutiny.] Also, at Newburgh and other instances, he demonstrated great skills in self-presentation [again think Newburgh with the glasses]. Throughout his life, even without much formal education, Washington displayed keen intelligence and developed a profound understanding of power and how to use it. Washington practiced what Epictetus, the Stoic philosopher, preached: No man is free who is not master of himself. He practiced self-discipline all his life.